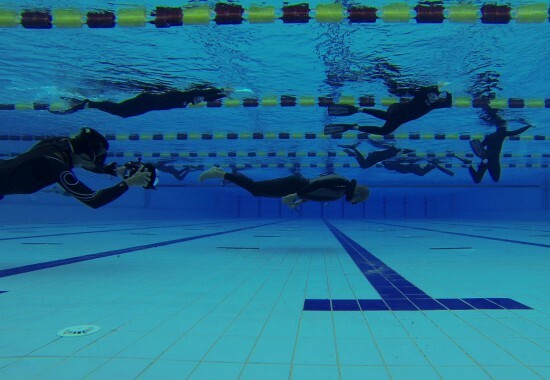 My Life Without Air is a minimalistic and lyrical portrait of an extreme athlete by debuting underwater cinematographer and free-diver Bojana Burnać. The film recently premiered at Toronto's Hot Docs, North America's largest documentary film festival. Croatian world-champion free-diver holding the record for staying immersed without air for over twenty minutes, Goran spends a great deal of time underwater, where he actually lives the most important moments of his life. 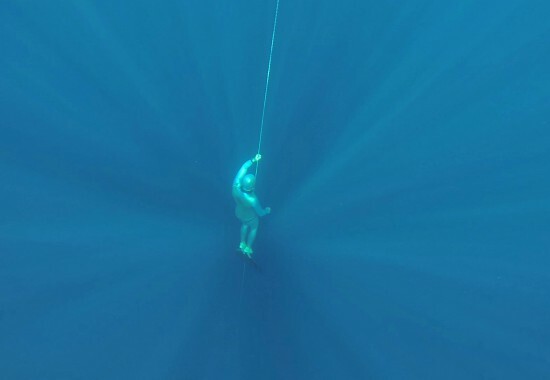 He guides us through a very special experience – apnea – which is a term describing the suspension of external breathing, a physical experience that crosses the limits of human possibilities. To remain the best in what he does, every day he challenges his boundaries, daring to cross them and risking irreversible damage. My Life Without Air is a reflective journey through a thrilling, inspiring underwater world of a man constantly testing his limits, with strong imagery immersed in deep blue, silently asking the most important questions about life and our existence. My Life Without Air est le portrait à la fois minimaliste et lyrique de Goran, un athlète de l’extrême et champion d'apnée, dont les moments les plus importants de la vie se passent sous l'eau. Un voyage méditatif à travers le monde sous-marin passionnant et inspirant d'un homme qui repousse constamment ses limites.